Published: Sept. 27, 2018 at 06:40 p.m. 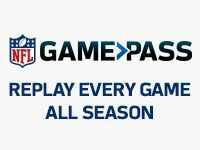 Updated: Sept. 27, 2018 at 08:39 p.m.
One of the Los Angeles Rams' most integral defensive players will be available to play on Thursday night. Starting cornerback Marcus Peters started against the Minnesota Vikings after sustaining a calf injury on Sunday. NFL Network's Steve Wyche first reported he would be active. Peters exited Los Angeles' Week 3 win in the first half and was initially expected to miss up to four weeks with the injury. He was listed as questionable for Thursday night's clash with the Vikings. His availability on a short week is a boon for a Rams defense that is without Peters' fellow starting corner, Aqib Talib. Talib was placed on injured reserve with an ankle injury earlier this week. It remains to be seen how much Peters will play with Sam Shields and Troy Hill at the ready. But the Rams will have him at their disposal if needed.